I, for one, have cherry blossom fatigue. As a D.C. resident for the past ten years, I welcome spring with open arms but have never understood all the hype behind the blossom-mania that overtakes D.C. in March and April. Forget cherry blossoms! 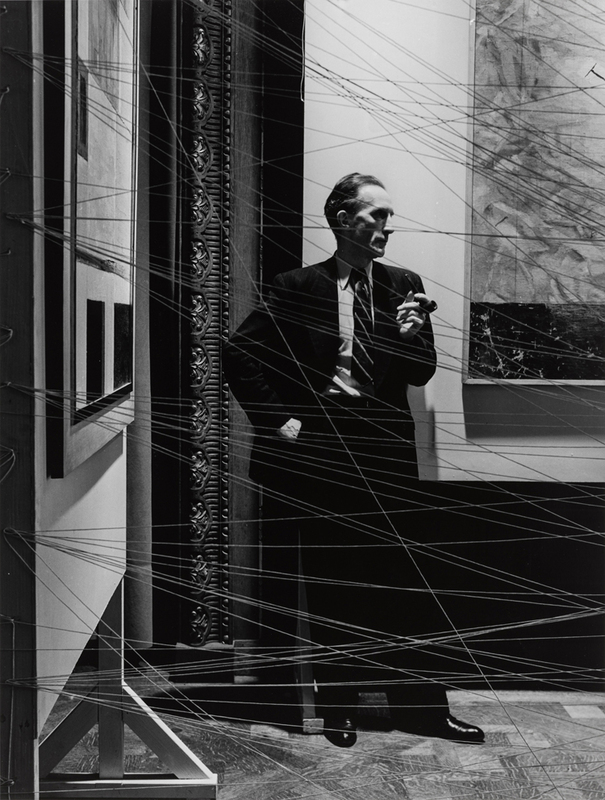 Give me a Manhattan street view, circa 1935, or a carefully composed photograph of an oil field worker spooling cables, or a portrait of Marcel Duchamp standing behind one of his complex installations–all in black and white. Thankfully, the blossom season has waned (as have my allergies! ), and the Phillips has the remedy to my too-much-spring fever. 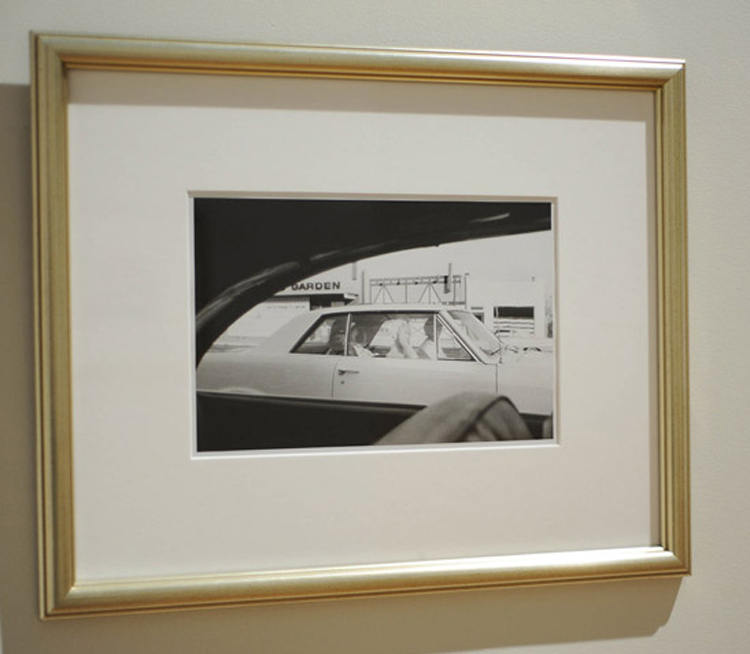 A new installation of recent and promised gifts to the collection proves that there’s nothing dull or lifeless about black and white photography. Associate Curator for Research Susan Behrends Frank created a dynamic installation in a gallery on the first floor of our Sant building, displaying photographs that range in date from the 1930s to the 1970s and featuring portraits, landscapes, scenes from American life, and photographic experimentations with light and movement. 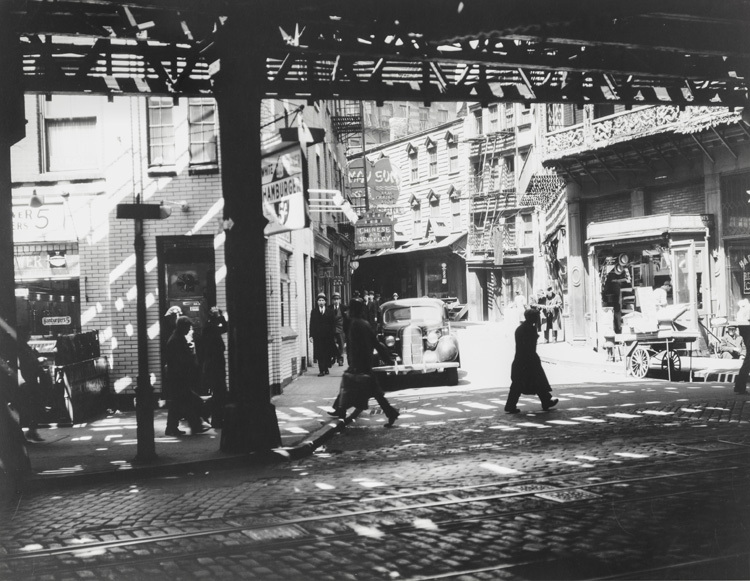 Berenice Abbott, Under the “El” Lower East Side, New York, c. 1935. Gelatin silver print, 11 x 14 in. Gift of Lisa Finn, 2012 © Berenice Abbott/Commerce Graphics, Courtesy Howard Greenberg Gallery, New York. Highlights include photography of life in New York City, such as Berenice Abbott’s Under the “El” Lower East Side, New York (c. 1935) seen above, along with beautiful, gritty photographs of Harlem in the 1960s in Bruce Davidson’s East 100th Street Series. Davidson’s eye for capturing the pulse of a time and place is also apparent in photographs from his Los Angeles Series. Because nothing says “L.A.” like people in their cars, am I right? Before Instagram made us all amateur photographers, there was Gjon Mili, a self-taught pioneer in the use of new photographic technology. Mili was one of the first to use electronic flash and stroboscopic light to create photographs that capture a sequence of actions in just one exposure. 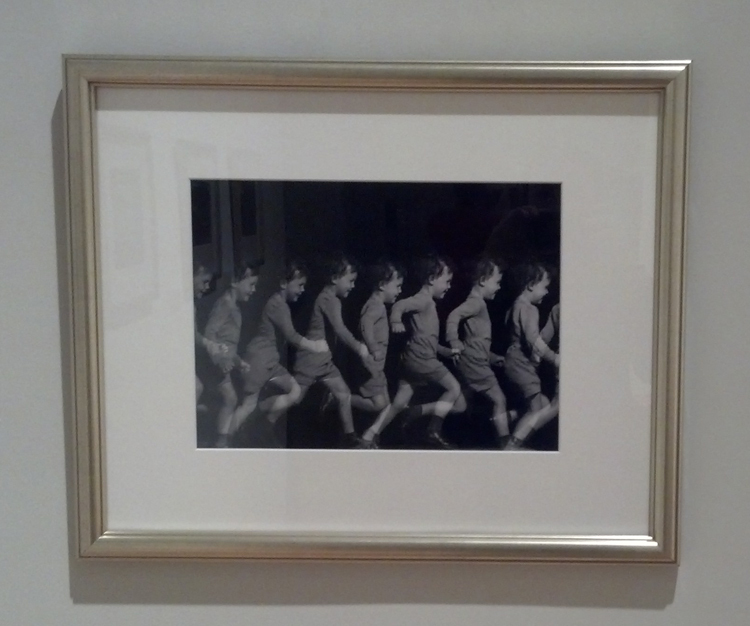 Many of his notable images, such as Multiple image of little boy running (1941) reveal movement often too rapid or complex for the naked eye to discern. 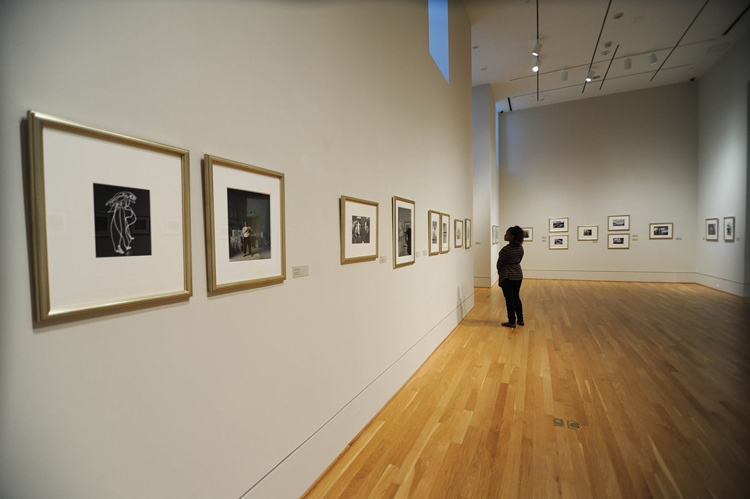 The world of blue-collar vocations is elevated to new heights in the photographs of Esther Bubley and Alfred Eisenstadt. 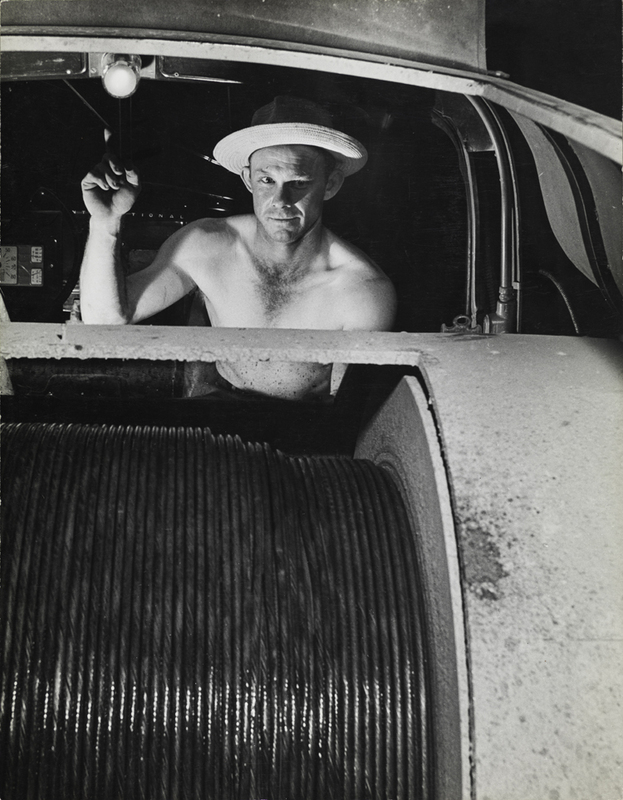 In the photo below, Bubley’s lens seems to simply capture a worker absorbed in his duties, but her eye for the abstract qualities of light, shadow, and machinery provides her composition with a modern, almost painterly feel. So come on in and soak up some non-spring scenery. The new installation, on view through the end of May, provides a respite from the frantic tourist season, high pollen count, and the (slowly) climbing temperatures. This entry was posted in Experiment Station and tagged Alfred Eisenstadt, Arnold Newman, Berenice Abbott, Bruce Davidson, Esther Bubley, Gjon Mili, Marcel Duchamp, photography. Bookmark the permalink.